There’s an election coming up in the UK, as those of us who live here will no doubt have noticed. I’ve even stooped to mentioning it in this blog. My aim is not to be party political in these posts, but, given my blog’s emphasis on finance, there is one policy that I think I can comment on. We need to talk about the Robin Hood tax. The Labour Party has announced in its manifesto that it will charge a small, 0.5% transactions tax on certain financial deals occurring in the UK. In particular, the tax will apply to the trading of bonds and derivatives. With this measure, and by tightening the rules on intermediaries’ relief (whereby market makers get relief on the already existing stamp duty on shares), Labour aims to raise between GBP 4.7 and 5.6 billion a year – a decent chunk of cash to fund extra spending on public goods. I am not going to comment on whether raising taxes or cutting spending is the best thing to do when reducing a deficit. There is a lot of technical academic dispute about the subject (how it impacts growth, etc.). But it seems clear that a complete focus on spending rather than taxes creates problems of distributive fairness. To be effective, cuts need to be made to the budget for social protection (i.e. welfare payments or pensions) or to health, since together these account for over 50% of all government spending. But there is a problem. That approach is not going to hit the wealthy. Instead, the least well off pay the price. So the Labour party’s approach is to rebalance towards higher tax – specifically for the ‘rich’ (i.e. those earning over GBP 80k a year) and for corporations. This will be done by reversing a proposed cut to 17% for corporation tax and instead raising it to 26%. The move would shift the rate back to a level last seen as recently as 2011 and would be lower than the rate levied by the UK’s main trading partners in continental Europe and by the USA. Now there can be strong debate about whether this approach is a good idea or not – that’s democracy – but at least these policies consist of pulling economic levers for which there is plenty of evidence regarding their effect. We all understand income tax rates. I actually think it is healthy to have these arguments after years in which very little divided the economic plans of the main parties. Then, by way of contrast, we have the Robin Hood tax. At first sight, transactions taxes sound like a pretty smart idea and of course they’re extremely popular with voters. Let’s face it, they are an easy sell. Who is going to miss a measly 0.5% on a trade? If they reduce trading volumes, who cares? This is especially true for derivatives, which now, post 2008, have all the brand appeal of an ebola-soaked rag. Besides, we already do it for UK shares via stamp duty. Also, why shouldn’t banks cough up a bit? The state bailed them out in 2008 – this would just be a little bit of pay back. Proponents also claim that it will reduce the chance of crisis. But are these claims really right? Let’s take the last one first. Numerous [taxation] schemes have been implemented or proposed: charges related to balance sheet size; ‘bonus taxes’ levied in proportion to discretionary pay levels; extra taxes on profits; a ‘financial transactions tax’ or ‘Tobin tax’ (after the 1972 suggestion by Nobel prize winning economist James Tobin) on every transaction. In my view these levies all have a critical drawback in that they are only tangentially related to the risk, and therefore the real economic cost, created by the bank being levied. Charges based on balance sheet size ignore the capital strength of the bank. Transaction taxes either penalise institutions with large flows (but which may not be risky) or, ultimately, would be paid for by the public as end users of the service. What governments should be doing is taxing the implicit risk that banks create to the public purse when they rely on the taxpayer to be the backstop of last resort. But all this might just be a philosophical point, lost in the hurly-burly of electioneering and the pressures in government to raise revenue. The real issue is this: the tax won’t work. Let’s consider the tax if it was applied to FX derivatives. I use this example because FX is a big and important market (and is one that is centered in London) and also because I know the numbers very well. But the arguments are similar no matter what the product. The bulk of traded FX options have a tenor of between one day and three months. I can’t remember the exact proportion when I was at Deutsche, but it was over 80%. Let’s say the average tenor of an FX option is 2 months. The price of a two-month at-the-money call (or put) for a currency pair with a volatility of 10% (pretty much par for the course for the FX market) would be about 1.6% of notional. A typical bid offer spread might be 0.2% in volatility terms, or, in price terms, about 3 basis points (that is, 0.03%). It is the capture of this tiny bid-offer that results in profits for banks. So in this example, how would the tax work? Would banks trade with a customer and then pay the tax themselves? That would be impossible. Even if the proposal to charge financial firms ‘only’ 0.2% was brought in, paying up would result in huge losses since the tax dwarfs the bid-offer (0.5% and 0.2% are much greater than 0.03%). It simply would not be possible for banks to pay the tax and maintain a price making service. They would stop within the first day or so. Or would banks pass on the tax to their customers so they could pay? Well I suppose they could do, but the effect of the tax would be to increase the price of a typical FX option by about 12-30% (that is, from 1.6% to between 1.8% and 2.1%). The extra round trip cost would, of course, be double. For industrial corporations this extra cost would be passed on to the firm’s own customer base. In the case of pension funds, say, its savers would pay. But my guess is that potential users of options would either not bother to trade (which in itself means that exposures that could have been hedged would not be) or would trade in a jurisdiction where there was no tax. Where might that be? The EU for one, since its proposals for a similar tax (the EU Financial Transactions Tax, or FTT) are currently only crawling forward and I think it is likely that – since Brexit – the EU might welcome the exodus of business from London. Besides, the EU proposal is for a share tax of 0.1% and derivative tax of 0.01% – very much smaller than the Labour Party proposal. The USA would be another location traders could turn to. A number of Asian markets would also join the queue. FX derivatives, unlike equities, have no natural ‘home market’. The exact same argument applies to interest rate swaps, CDS, equity derivatives and everything else. Bid-offer spreads, regardless of product, are all pretty small; 0.5% is damned large in comparison; even 0.2% is. Flight, or attempted flight from the tax would be universal. And all this just at the moment that the financial services industry in the UK is looking at the exit doors because of Brexit. In case you think that all of this is a purely theoretical argument, the experience of Sweden is a bit of an object lesson. Sweden imposed a 0.5% tax between 1984 and 1991 and saw its markets head offshore. The fixed income portion of the tax had a particularly dramatic impact with the effect that, instead of the tax raising the aimed-for SEK 1.5 billion annually, it raised only about SEK 50 million in average. This is why Sweden opposed the EU FTT: they’ve tried it. Jean-Baptiste Colbert – King Louis XIV’s finance minister from 1665 to 1683 – once said that, “the art of taxation consists in so plucking the goose as to obtain the largest [number] of feathers with the least possible amount of hissing.” The financial service industry in the UK is more of a golden goose: it makes up 11.5% of all tax take, or GBP 71.4 billion in 2016. The proposed Robin Hood tax would be an attempt to shoot an arrow right at the goose’s heart. Succeed – and you’ve killed the goose. Fail – and the goose flaps away, never to return. It might well be that this version of the tax is not implemented (despite a good campaign, the Labour Party is still long odds to form the next government) but bad ideas are hard to kill – especially when they are popular. I don’t think we’ve seen the last of Robin Hood. 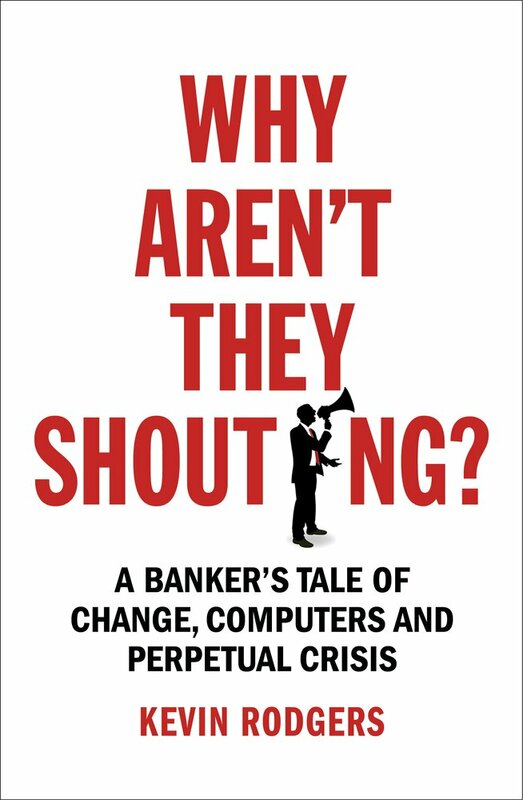 Pre-order the new edition of Kevin Rodgers’ book ‘Why Aren’t They Shouting?’ at Amazon. O/N repo’s anyone?! You hit the mail on the head. This would inevitably be passed on to the customer and would either paralyse some bona fide hedging markets for wholesale customers as you say, or make it eye-wateringly expensive to go overdrawn on your current account. The product would be HMRC a.k.a. Wonga!